Fresno, California does not get as much publicity as its two big neighbors, Los Angeles and San Francisco, but it is a cool city that helps support one of the largest agricultural areas in the United States. You may not think that there is a lot of blues music going on there, but with half a million people there are plenty of blues enthusiasts to be found. In fact, guitarist and singer AC Myles grew up in Fresno, and he is a fine representative of the town! 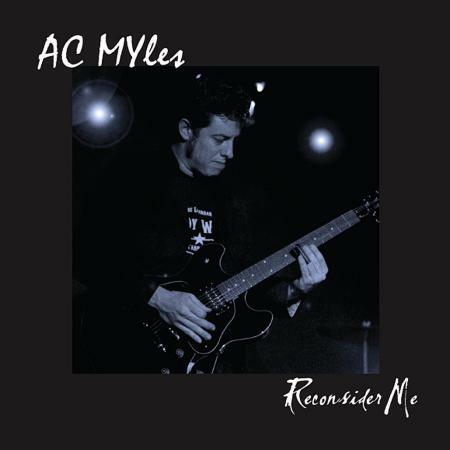 AC Myles has a fine pedigree; after touring with his own band as a young man he ended up in San Francisco where he found work as a sideman for killer acts such as Fillmore Slim and John Nemeth. 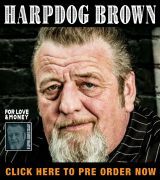 This experience honed his performance skills and helped him develop his own brand of blues chops on both guitars and vocals. For his debut album, Reconsider Me, he hooked up with the legendary Kid Andersen, who produced this project as well as recording and mastering it at his Greaseland Records in San Jose, California. Things happened quickly, as they only had to spend two days in the studio, which gives this disc a righteously vibrant feel! This album is made up of eleven tracks that include four of Myles’ originals and seven special covers. These were not culled from usual list that other artists choose from, as he mostly picked songs that were from some of the artists he has worked with over the years. For this project, AC took on the lead vocals and guitars, and he was joined by Derrick Martin behind the drum kit, Nate Ginsberg on the keyboards, Lisa Andersen with the backing vocals, Endre Tarczy on bass and keys, and Kid Andersen with the rhythm guitar and keyboards. Things start off with a tight soul tune written by Fenton Robinson, “You Don’t Know What Love Is,” and one thing is for sure: Myles has a fabulous voice. He stays in tune across his impressive range, and his vocals have an honest inflection and character that bring the words to life. Next up is Rory Gallagher’s “Do You Read Me,” which is an ambitious undertaking as Gallagher was a true guitar hero. AC fills the role well, and this turns into a roaring blues rocker with blazing guitars, a thumping bass line, and awesome organ accents. This is one of the top tracks on the album, without a doubt. After stirring rock with a little gospel in Elvin Bishop’s “Rock My Soul,” the band takes on the title track from Johnny Adams. “Reconsider Me” features some jaw-dropping falsetto, and extra cool roadhouse piano over the solid foundation of Tarczy’s bass and Martin’s drums. This duo also sets up Roman Carter’s 1965 classic, “Queen Bee,” for Myles’ best James Brown imitation. The most pure blues tune on Reconsider Me is “Death Bed Blues,” which was penned by Myles. His lead guitar has a super-clean tone in this 12-bar Chicago-style tune, and Andersen backs him up well. The slow tempo creates tension for the classic low-down lyrical themes that are sung with emotion and gusto. AC laid down two very strong original rockers, “Call ‘em All Baby” and “Three Ways to Fall,” and then the set ends with Fats Domino’s “Blue Monday.” But, this time it a Fillmore Slim arrangement with funky wah-wah rhythm guitar and 1970s-issue electric piano. Myles digs deep (and even wails a bit) for this closer, leaving things on a happy note. If there were anything that is missing with this release, it would be more of AC’s own material. Myles’ career has advanced to the point where his fans would surely like to hear a more personal take on his music. He is a fantastic singer, guitarist, and arranger, so surely he can perform whatever thoughts he puts down on paper and make them work. It is true that AC Myles has talent galore, and Reconsider Me proves it on every track. 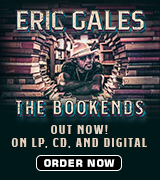 This is a solid album of soulful rhythm and blues that is expressed with his own style thanks to his years of experience. Check it out, and we should all hope that he starts working on a follow-up soon!